Anime didn’t make it into the Oscar nominations this year. Here’s why that doesn’t matter. Back in 2003, “Spirited Away” made history by becoming the first Japanese animated feature film to win an Academy Award. It told the story of 10-year-old Chihiro, a young girl propelled into a world governed by spirits, gods and other fantastical beasts that go bump in the night. It was a milestone for the animation industry. But more than a decade later, the art form’s representation at the Oscars hasn’t improved. According to Academy records, only nine animated films either fully produced or co-produced in Japan have been nominated since the late 1990s. 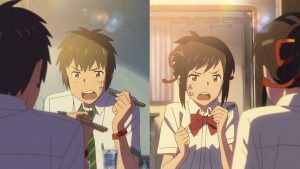 And this year, the absence of a nomination for “Your Name” — a hugely popular anime film that critics lauded as Oscar-worthy — begs the question: How does the Academy view anime? Anime is a lucrative business. The total market value of the anime industry in 2015 was $1.83 trillion yen, or $18.1 billion dollars, up from about 12 percent from 2014’s $1.63 trillion yen, according to the Association of Japanese Animations. Even Netflix is jumping on board. The company is expected to produce at least eight original anime productions in 2017, not to mention the loads of Pokémon paraphernalia, plush toys and bobbleheads that it already sells. Matt Schley, a freelance writer based out of Tokyo and editor at the manga and anime media magazine Otaku USA, covered the opening of “Your Name” last year in Japan. The film, directed by Makoto Shinkai and released under Funimation Films, is a vivid narrative centered around two teenagers who find themselves paranormally linked. It proved a massive hit in Japan and Asia and recently topped “Spirited Away” as the highest-grossing anime film ever. And although the film heads to the U.S. on April 7, Schley said in a Skype message: “it … feel[s] a bit strange that it didn’t even get nominated” after its enormous success abroad. The Academy Awards have occasionally nominated anime films. From 1999 to 2015, three independent anime short films and six Japanese animated feature films received Oscar nods. 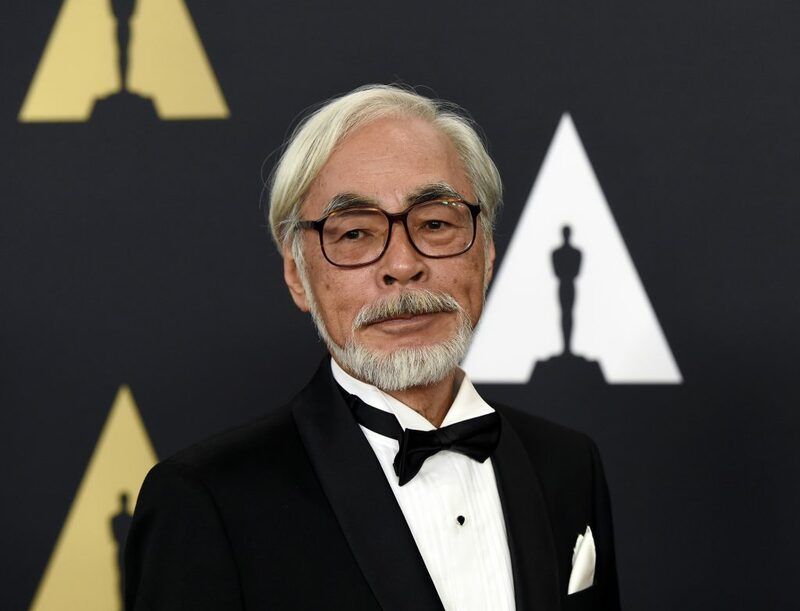 Among those nominations, one name comes up repeatedly: Hayao Miyazaki. “He’s pretty much a household name here in Japan and his films are popular with people who really aren’t interested in anime at all otherwise,” Schley said. This week, Miyazaki, who announced in 2013 that he was retiring, said he was now working on a new feature film. In 1985, Miyazaki created Studio Ghibli along with filmmakers Isao Takahata and Toshio Suzuki. They released their first film “Castle in the Sky” in 1986. The earliest commercial Japanese animation dates back to 1917, and since then its diverse art form and style has continued to spread internationally. Anime is often adapted from “manga,” a style of Japanese comic books and graphic novels, and covers everything from slice of life to science fiction. And although anime is by definition relating to Japanese origin, many other Asian countries maintain their own variant of the concept. “Modern anime arises out of post-WWII modern manga, i.e. comic book production,” said Casey Brienza, a sociologist and author of “Manga in America: Transnational Book Publishing and the Domestication of Japanese Comics,” in a Skype message. Brienza noted that anime filmmakers have also been influenced by American animation. Osamu Tezuka who has been called the “God of Manga,” was influenced by American animation, including by “Disney” and “Betty Boop.” Tezuka is known for making “Tetsuwan Atomu,” or “Astro Boy,” a 1960s anime that crossed international borders and premiered on NBC stations across the U.S. In the late 1990s, a new international interest in anime took hold with the creation of TV shows like the action-adventures of “Sailor Moon”, the chronicles of extraterrestrial battles in “Dragon Ball Z,” and the ever-popular classic Pokémon, among others. Even though Japanese anime has continued to draw international audiences, when it comes to the American Academy, there’s a disconnect, Brienza said. “I think the Oscars are an American party practically by design, and so non-American works in general are underrepresented. A lot would have to change before I think anime would have a good shot at being better represented,” Brienza said. It may also come down to cross-cultural appeal. This year’s nominations for Best Animated Feature Film are “Moana,” “Zootopia,” “My Life as a Zucchini,” “Kubo and the Two Strings” and “The Red Turtle,” which, though it was co-produced by Studio Ghibli, does not fit the traditional definition of anime because it was made by a Danish-British animator. “So anime is not getting totally snubbed this year,” said Patrick Macias, editor-in-chief of Otaku USA and Crunchyroll News, a site dedicated to the latest developments in anime and Japanese pop culture. “It’s also important to note that not every anime film that comes out is Oscar-worthy either,” he said in Skype message. “So if we want to think about an Oscar nomination as an actual acknowledgment of high-quality filmmaking, and not a bunch of folks making very calculated political decisions — even if we know that usually isn’t the case — maybe this is a good thing,” he said. “Your Name” Director Makoto Shinkai also isn’t concerned with Academy recognition, nor is he comfortable about being dubbed “the new Miyazaki,” according to an interview with the China Morning Post. And Matthew Li, a 21-year-old YouTuber and anime fan of five years, said in a Skype message he doesn’t see anime’s future as dark or gloomy.